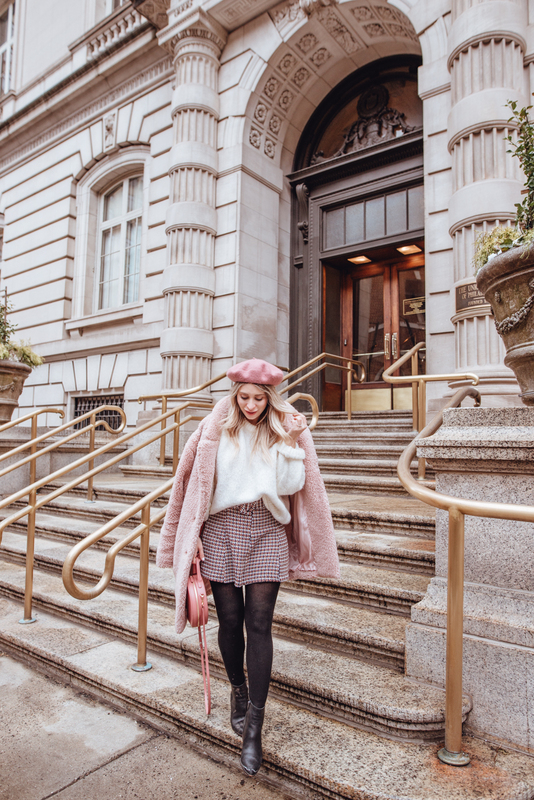 5 Reasons To Visit Philadephia | La Petite Noob | A Toronto-Based Fashion and Lifestyle Blog. A few weeks ago, right on the heels of coming back from Los Angeles, I had to pleasure of boarding a plane with my friend Didier with Philadelphia as our destination. It would have been both of our first times visiting Philly, and myself I didn't quite know what to expect. I had very basic knowledge of Philadelphia coming into the trip - at best. Think Philly Cheese Steaks and Rocky. While I didn't know much about the city, I was definitely excited to explore a different part of the United States and going into the trip with zero expectations made it all the more fun and exciting. Now as I sit and reflect on my time in Philadelphia, it's safe to say that my expectations of the city have been exceeded. I was not expecting the hospitality of the people, a bustling food scene and a metropolis so rich in history. Philadelphia really did take my by surprise. I throughly enjoyed my weekend trip to Philly and have already begun brainstorming returning in the summer. 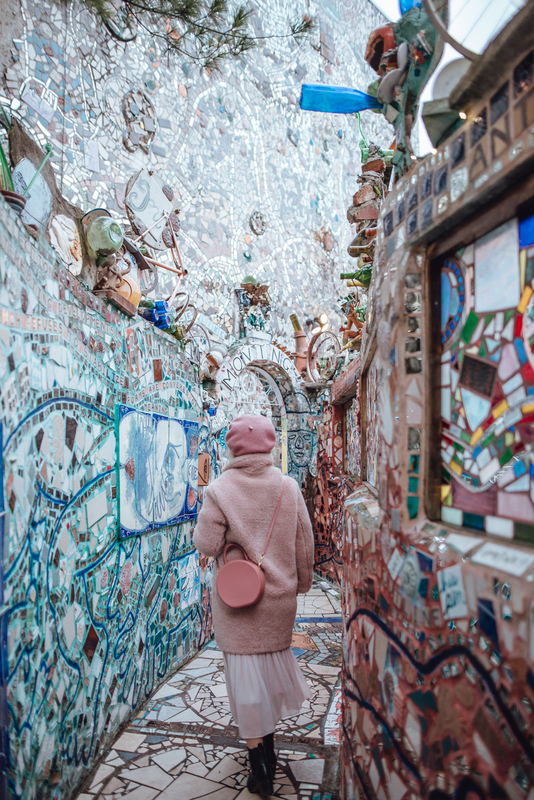 If you have Philadelphia on your radar, or are looking for a quick city getaway from Toronto, here are 5 reasons to visit Philadelphia. 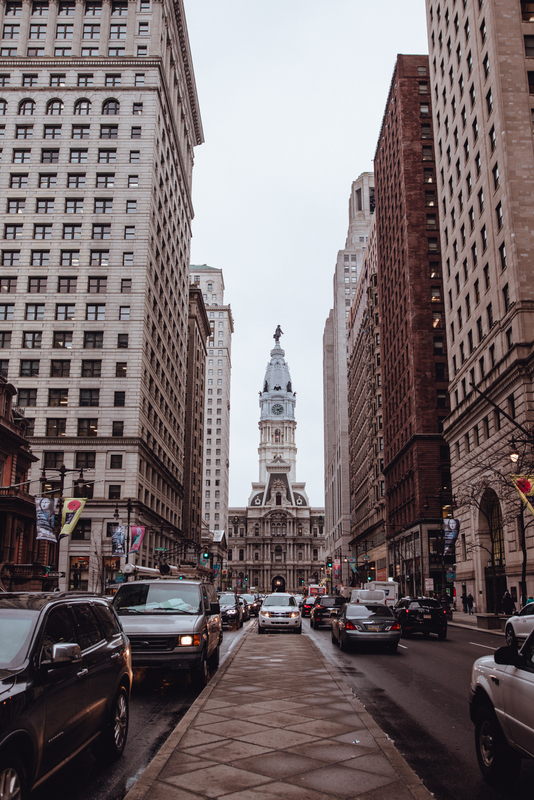 Our first morning in Philadelphia was our own to explore, and Didier and I found ourselves mostly walking around the downtown area and marvelling at the architecture of the city. A beautiful mix between historic and modern buildings, the sheer size of some of the structures and their presence in the Philadelphia skyline is absolutely incredible. I especially loved all of the art-deco inspired skyscrapers that lined the city streets. Take a quick trip to the waterfront and see the building style change before your eyes. It's really quite something to see! 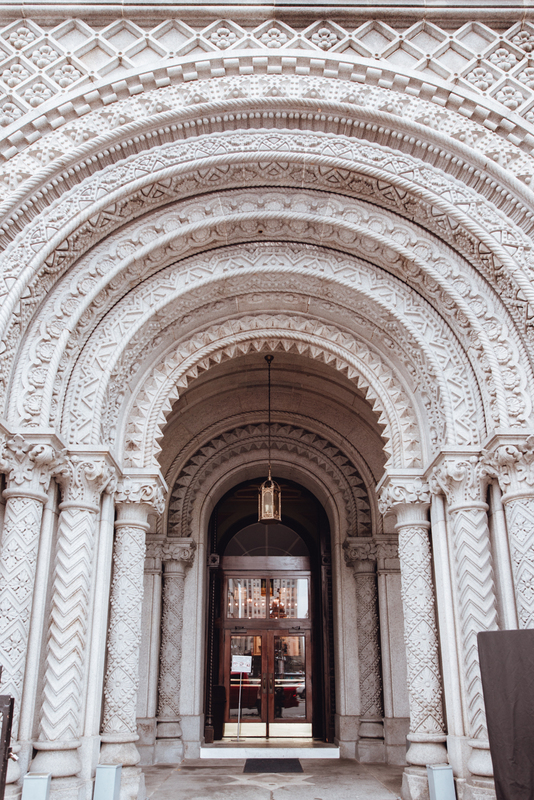 For those of us who are city-lovers at heart, strolling the streets of Philly and enjoying all that the architecture has to offer may just be the perfect way to spend a day. Giuseppe and Sons - A modern take on a classic Italian restaurant. I'm talking plush velvet boots, moody corners, brass details. I half expected Frank Sinatra to be making an appearance! 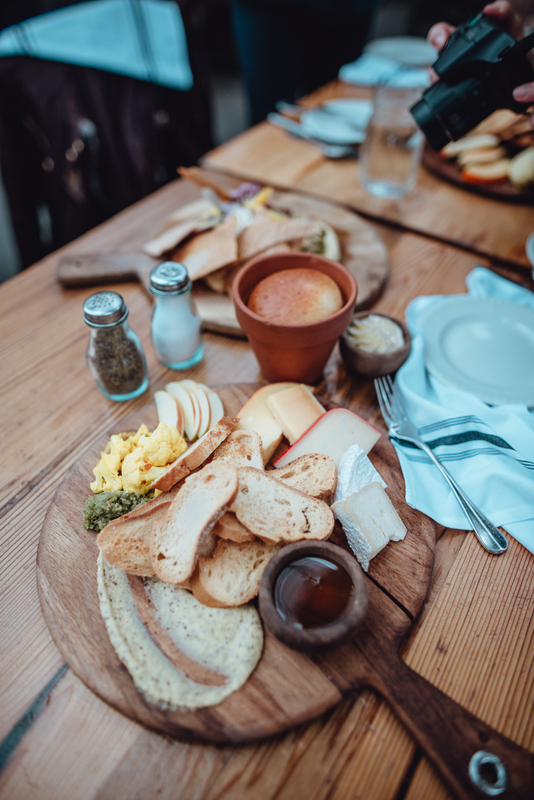 Atmosphere aside, the menu boasts classic Italian fare with careful attention being paid to detail and generous portions. 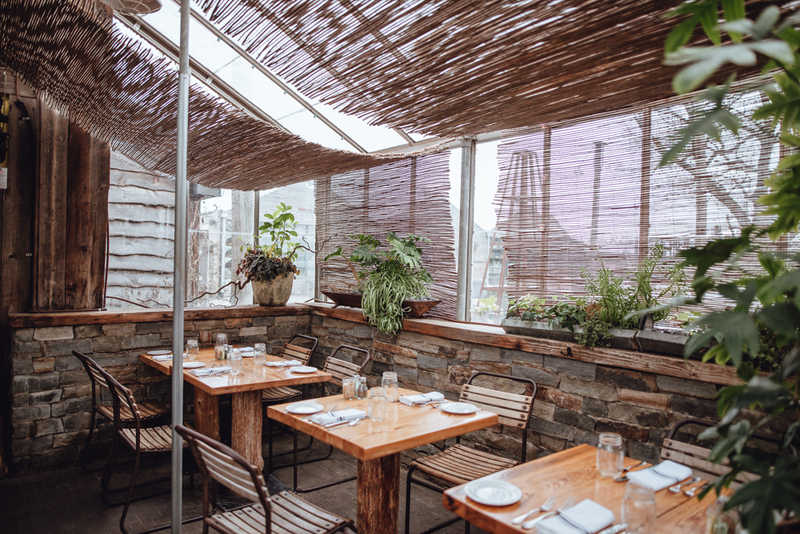 Talula's Garden - A beautiful, intimate restaurant that's situated in Washington Square - one of Philadelphia's oldest and most haunted neighbourhoods. The space boasts rustic decor and a menu made of local, seasonal ingredients. I would love to visit this gorgeous spot in the spring or summer and take advantage of dinning in their gardened outdoor terrace. 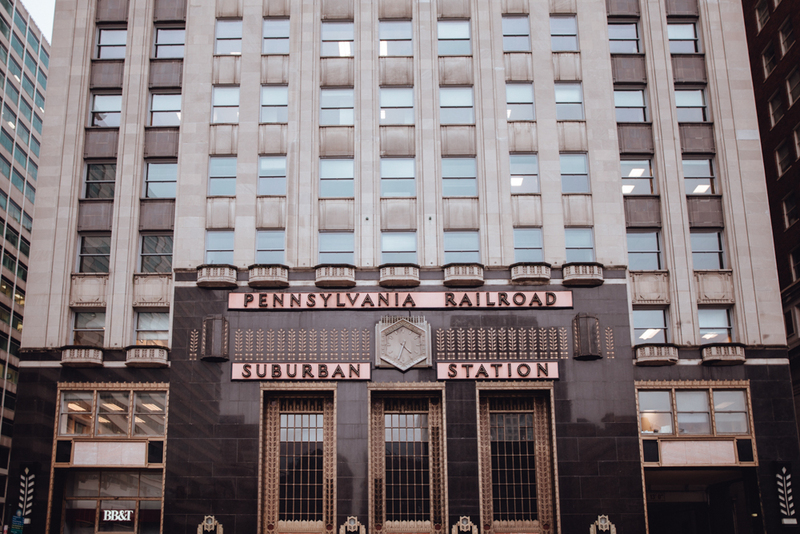 Reading Terminal Market - One of America's oldest and largest public markets; a one-stop shop to experience all of the different tastes that Philadelphia has to offer, from both restaurant and grocery. Think St. Lawrence Market, only much much larger. I absolutely loved coming here for breakfast. 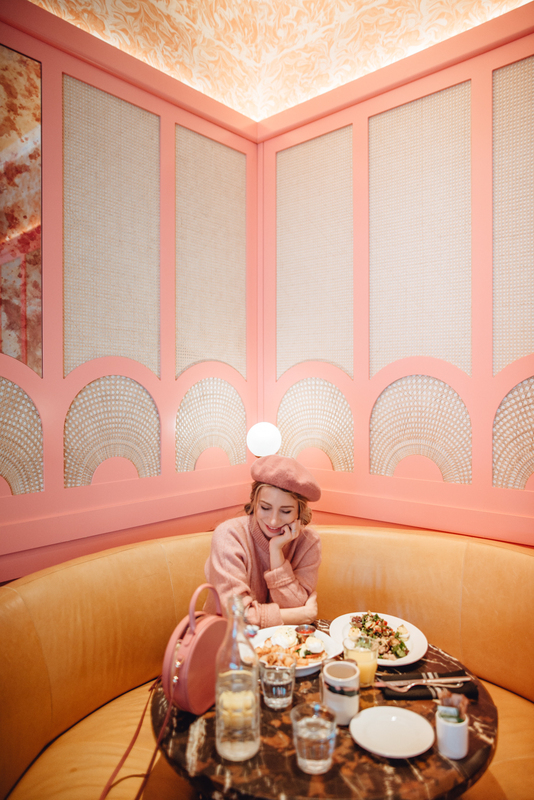 Louie Louie - Be still my art deco loving heart! Louie Louie is beautifully styled, upscale American fare at it's finest. 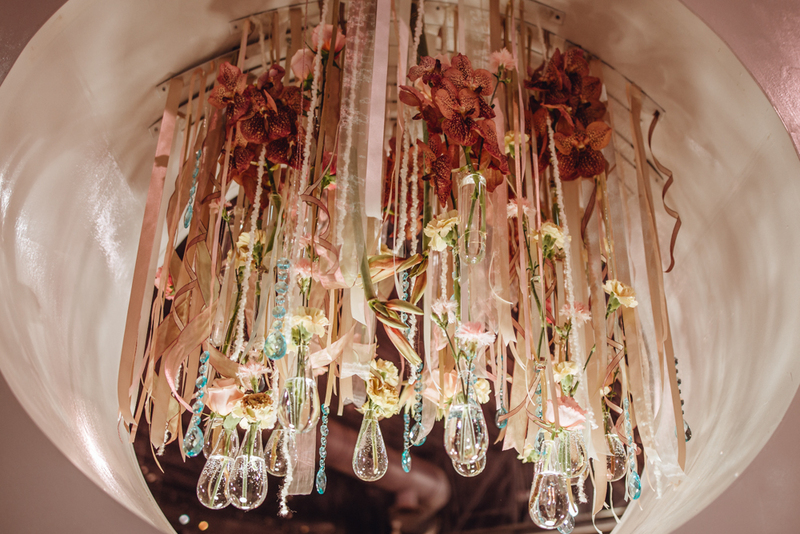 We enjoyed a simple brunch and, while it wasn't the most imaginative brunch I've ever had, the decor and atmosphere more than made up for it. I'm anxious to go back for a post-pregnancy martini at their stunning bar. We were told that Philadelphia is a city that always has something going on, and our something for our stay was the Philadelphia Flower Show. 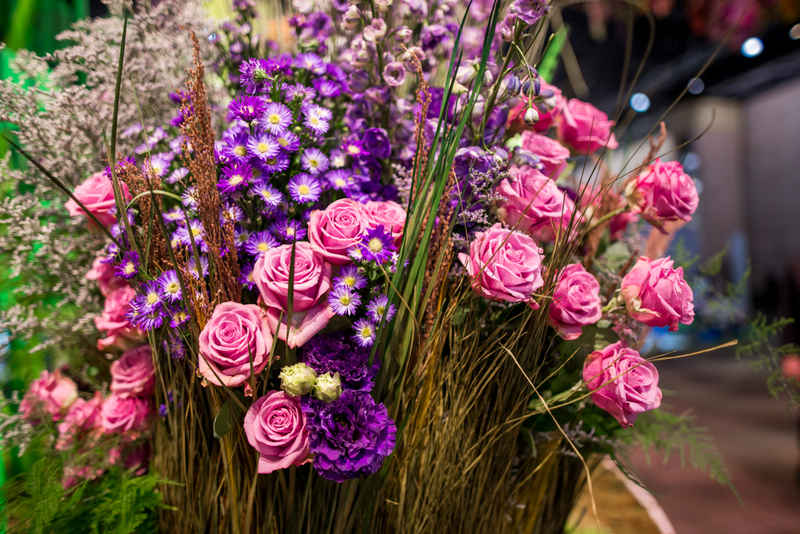 An annual event held at the Pennsylvania Convention Centre, this flower show extends way beyond your basic garden rose. We were lucky enough to be visiting the year that the show was hosting the FTD World Cup competition. 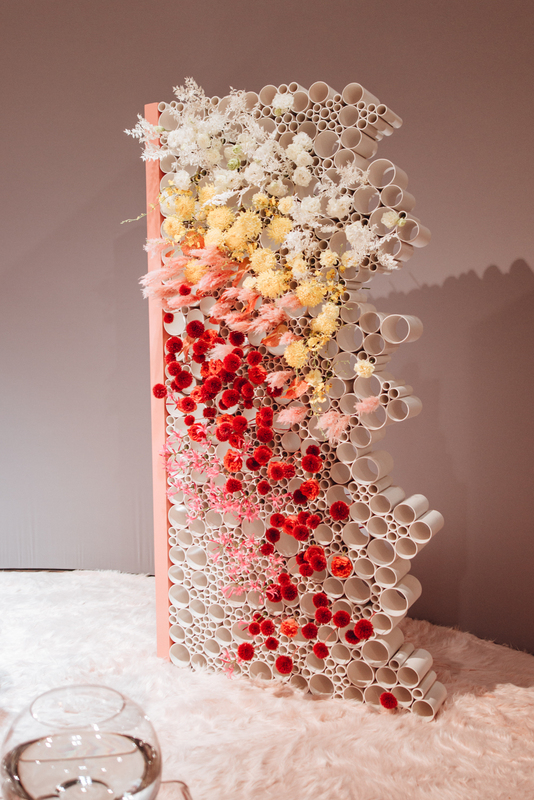 Florists from around the world competed in a series of events happening live at the Philadelphia Flower Show, and we were able to see the contestants work live on their arrangements and marvel at their finished masterpieces. The show is huge, with so many different booths and activities - it's a must-do for any horticultural lover. 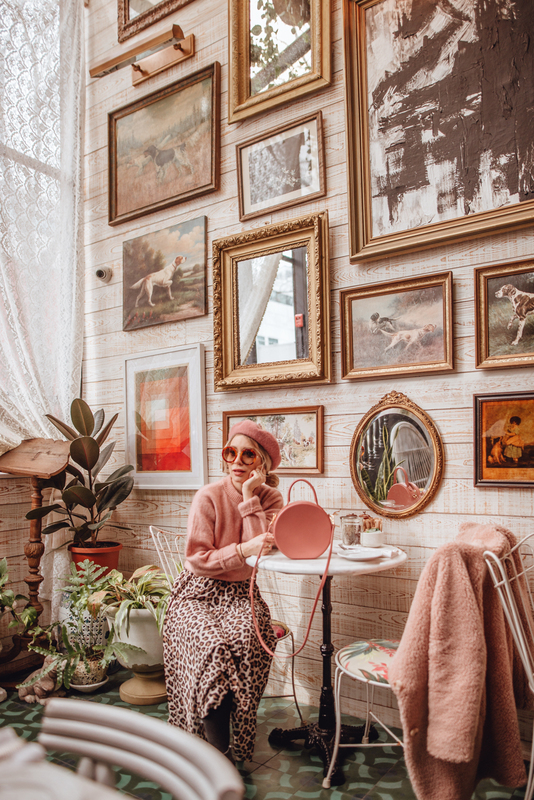 If you're someone who loves to spend their day immersed in different museums and art galleries, then Philadelphia is definitely for you. Didier and I were barely able to scratch the surface on the many museums, art galleries, outdoor gardens and historical displays that Philadelphia has to offer. This city is rich in history and culture - in fact even walking around the downtown area felt like being in a museum since most of the buildings has informative plaques stating their cultural and historical significance to the country! 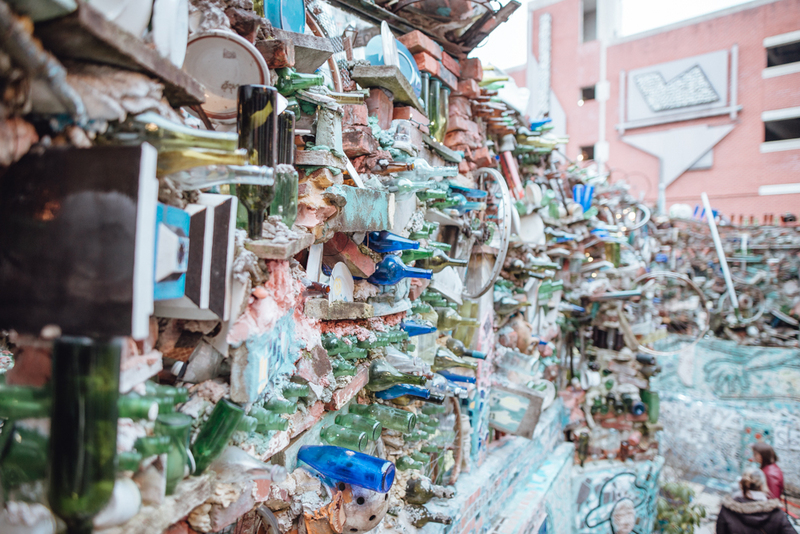 I honestly wish that we had time to experience more of this side of Philly, but I'm really happy that we were able to visit both the Philadelphia Magic Garden and the Philadelphia Academy of Fine Arts Museum. Both I would highly recommend. We were lucky enough to be able to venture outside of the Philadelphia city limits, to Brandywine Valley. A short 45 minute drive from our hotel in downtown Philadelphia, Brandywine Valley is the idilic country escape when you need a reprieve from the hustle and bustle of a big city. 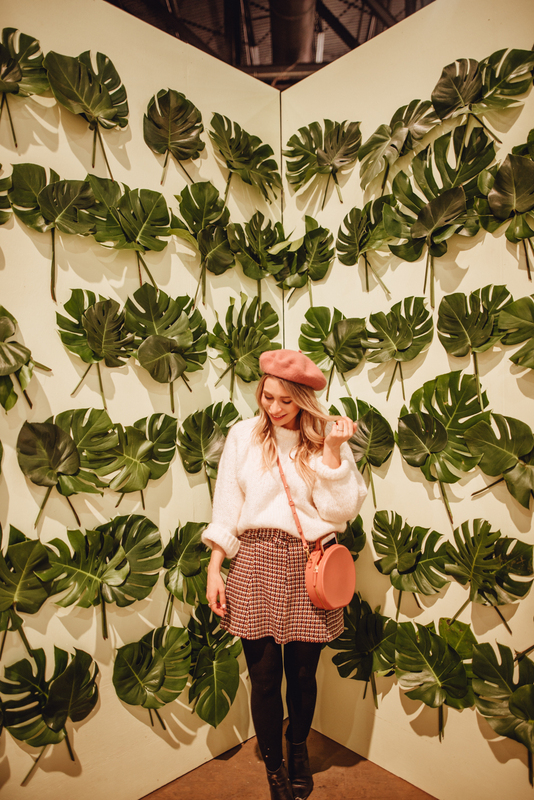 We visited Longwood Gardens, a sweeping botanical garden that boasts the most stunning indoor garden that I've ever seen! 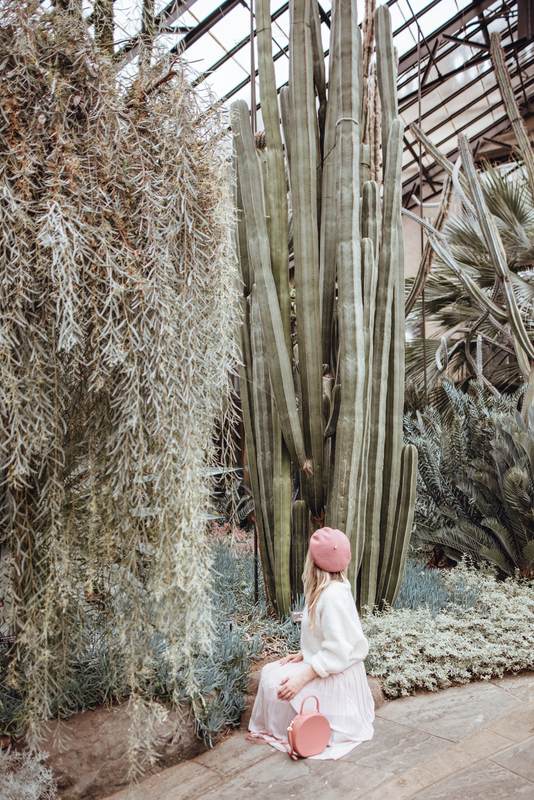 To be completely honest, this little day trip to Longwood Gardens was my favourite memory from our entire weekend - and that's saying a lot coming from a city girl! 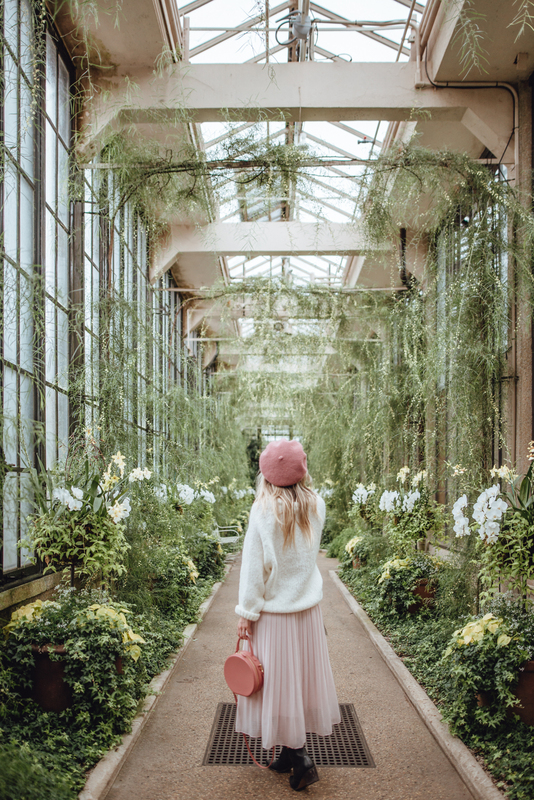 I so enjoyed wandering the seemingly never-ending rows of manicured indoor garden, marvelling at the orchids during their orchid extravaganza and learning more about the history of Longwood Gardens. My wish it to be able to experience this beautiful botanical wonderland in the Spring and Summer. 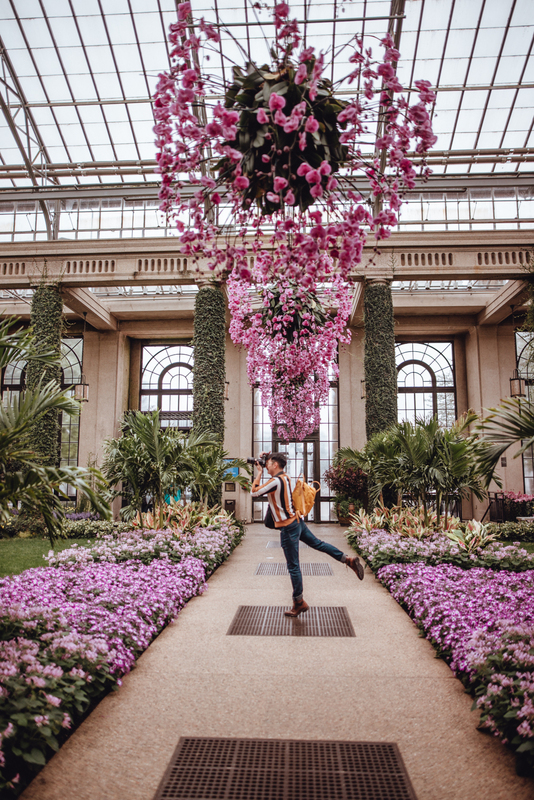 I could honestly go on gushing for hours, but I'll leave you with this - if you're planning a trip to Philadelphia, make sure to devote a day to experiencing all that Brandywine Valley and Longwood Gardens have to offer. Before we knew it, it was time to head back to the airport and take the short one and a half hour plane ride from Philadelphia to Toronto. 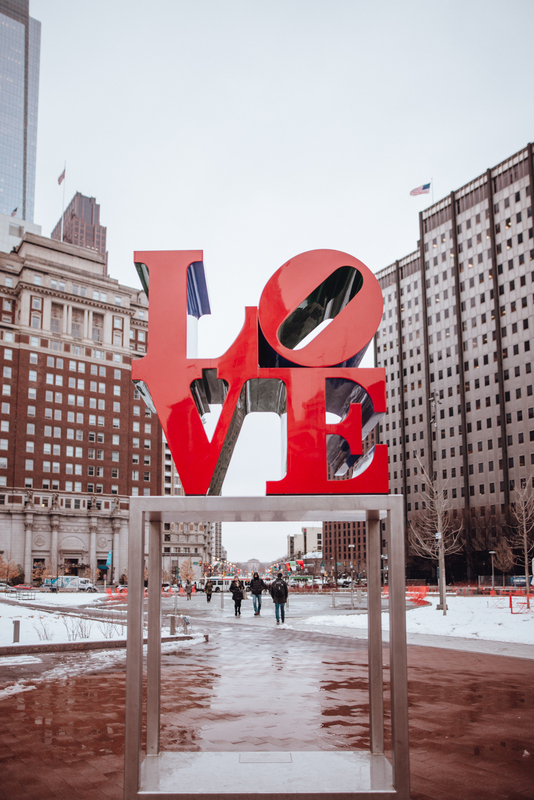 As an avid traveler, I love when destinations blow me away and exceed my expectations; Philadelphia has certainly made it to this list. I'm so grateful that I was able to experience this incredible city, and am already looking forward to visiting again in warmer weather. Have you been to Philadelphia? What are you favourite things to-do in the city? Let me know! Thank you to the Philadelphia Tourism Board for hosting our trip. All thoughts and oppinions are 100% my own.